LAS CRUCES, N.M. – Tshilidzi Nephawe scored a team-high 14 points on 7-of-9 shooting from the field to lead New Mexico State past Utah Valley 69-44 in Western Athletic Conference action Saturday evening at the Pan American Center. Nephawe, who recently returned from injury, is ready and excited to contribute in WAC play. It didn’t take long for the Aggies to institute its will on the Wolverines. DK Eldridge scored the Aggies’ first five points of the game and NM State led 5-3 at 18:35 in the first half. He also had three steals in the opening eight minutes. At the 15:26 mark the Wolverines briefly knotted it up at 7-7. From there, however, over the ensuing 10 minutes the Aggies went on a 22-10 run and led 29-17. NM State went into intermission with a 33-22 lead. In the opening stanza the NM State defense gave the UVU offense a case of the fits. The Wolverines turned the ball over 11 times – which turned into 14 points for the Aggies. To start the second half NM State pushed the pedal to the metal. The Aggies opened on a 6-0 run and from there it was all NM State. The Aggies finished with five players in double figures. Remi Barry scored 13 points and hauled in eight rebounds and Eldridge helped out with 12 points. Ian Baker and Daniel Mullings each scored 10 points. Pascal Siakam was a point away from a double-double and finished with nine points and 11 boards. As a team NM State shot 43 percent (25-of-58) from the field, while holding UVU to 34 percent (17-of-50) from the floor. NM State dominated on the boards. The Aggies out-rebounded the Wolverines 41-27 – including 16-8 on the offensive glass. The Crimson and White also scored 24 second-chance points, while UVU finished with three. With the win the Aggies are a half game ahead of Missouri-Kansas City for first place in the WAC. Donte Williams scored a game-high 17 points to lead UVU (7-11, 2-2 WAC). 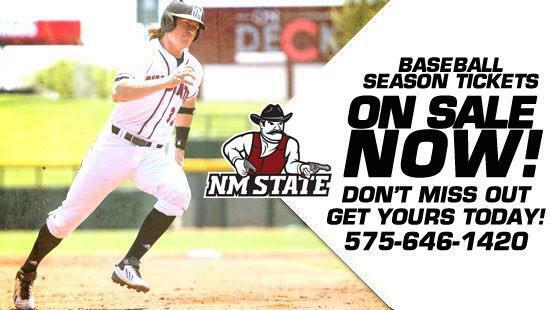 NM State (12-10, 4-1 WAC) returns to action next Saturday, Jan. 31 against Texas-Pan American. @NMStateAggies are looking very impressive. Going to be tough to beat from here on out.